This actual working felt tip permanent marker may have been used by noted artist George Fox. It was likely used to draw pictures, identify objects at home and office, write notes, doodle, maybe even inscribe temporary tattoos on a woman's body. (On her arm, if you must know.) 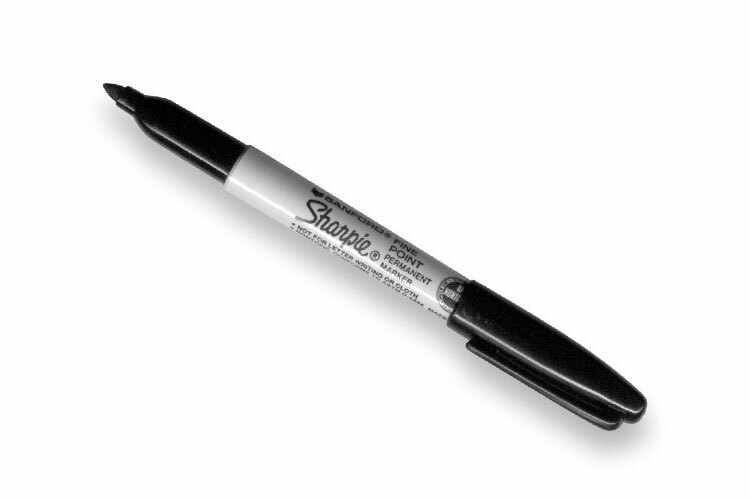 Now you can relive those magic moments by writing your own notes, marking your own objects in your house or office, even doodling, drawing or tatooing women just like George with your very own Sharpie marker. Note product labeling says "Fine-Point," but George assures us that he prefers the worn-in fat-tipped version we offer here.